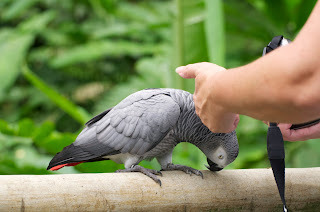 The main reason I decided to visit Jurong Bird Park was to see the parrots. I had put off going as I didn't think I was that interested in birds, after all in the UK most are fairly dull coloured ( I can hear the ornithologists screaming at me now!!) 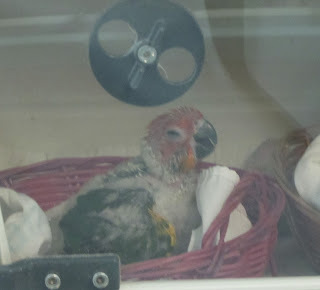 and also I do struggle with seeing birds in cages. The cage thing I have found most uncomfortable out here in Singapore as it is such a poplar past-time in many places, such as by Bedok reservoir, where they bring their birds out onto tall poles first thing in the morning to hear them sing. There are also shops selling wild birds in cages and "bird sitting" for owners. I guess in the Uk keeping captive birds is not as popular as it was once was, say back in the 70s. 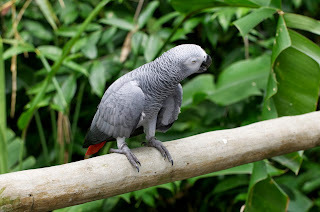 I think because birds are naturally free to fly wherever they please, they appear to be the "most free" of all creatures and therefore seeing them in cages I just find it uncomfortable. 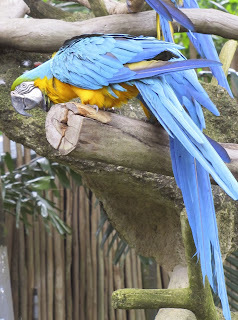 Having said all that the Bird Park here is like many other Parks and zoos across the world supporting conservation and no cages are in the slightest bit small and indeed on the Macaw Island they appear to have complete freedom. 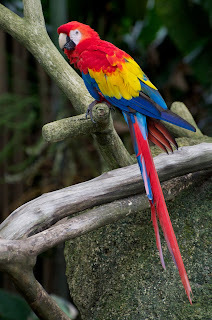 So the brightly coloured, intelligent, all seeing parrots were a draw and certainly lived up to that for me. As you enter the park, after the penguins and next to the flamingoes, the first place you see is Macaw Island. 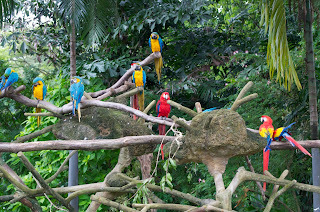 The macaws there are perched along tree branches will numerous photo opportunities, certainly much better than just prior to this where you can pay to have your photo taken holding a parrot, admitted watching them on the island you will not be able to hold them but you can see them en masse more like you would in their natural rain forests. 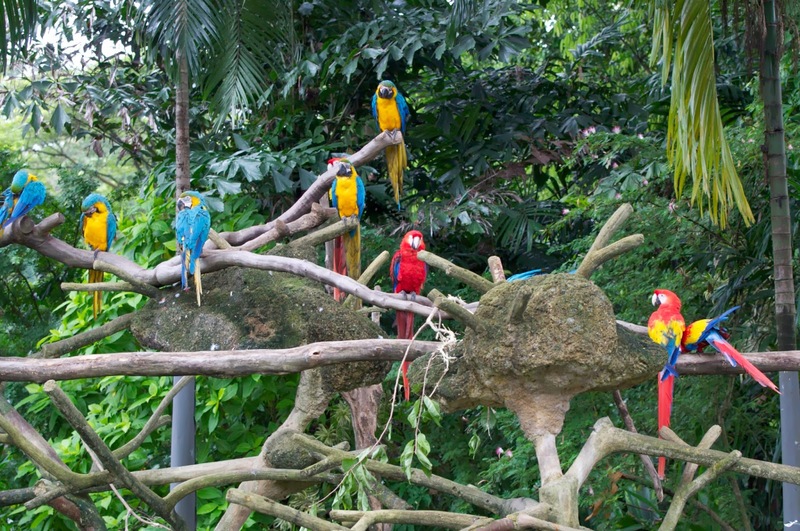 The Park houses the largest collection of parrots in Asia and they successfully breed them. A little further on you can visit the breeding centre and see some truly "ugly" little parrots chicks!! 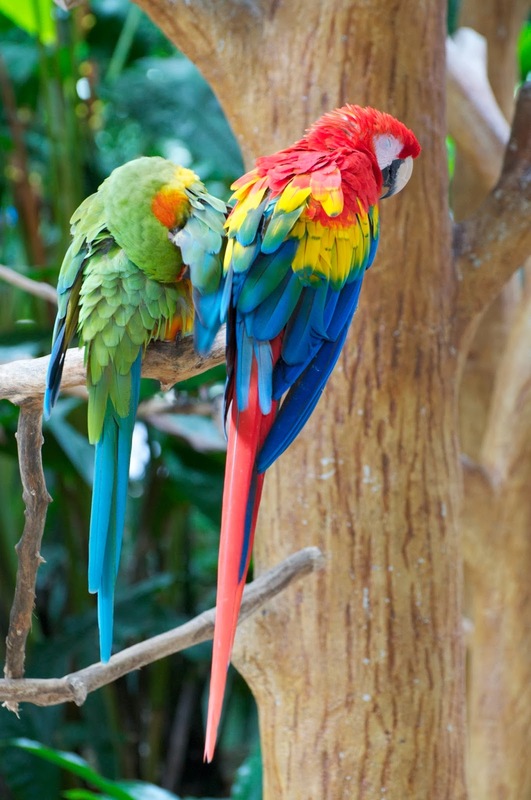 There were once 19 species of macaws but now only 6 species remain. Macaws are longtailed colourful parrots whose feather pattern is unique to each parrot as a fingerprint is to a human. 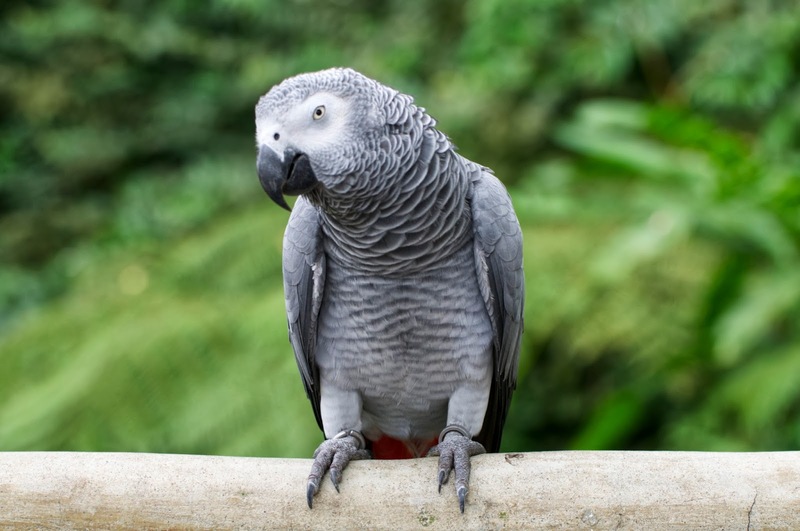 As mentioned many are now endangered and are highly regulated by CITES where trade from wild parrots is restricted or banned. The Scarlet Macaw in question is highly endangered and cannot be traded. 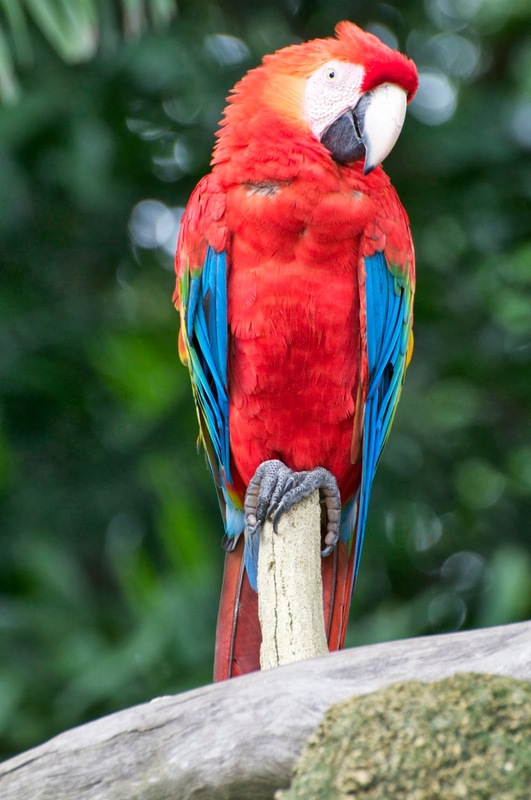 Macaws come from Central and South American and naturally live in the tree canopies of the rain forests, making nest in holes of trees. They eat seeds, nuts, fruits and leafy greens and like all parrots they mate for life. The African Grey Parrots are found in Central and Western African rain forests. There are 2 species of them; the Congo and Timneh. 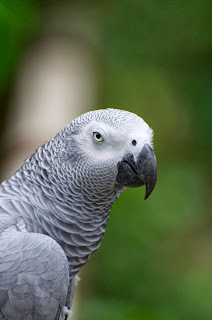 As mentioned previously they are endangered and restricted by CITES. 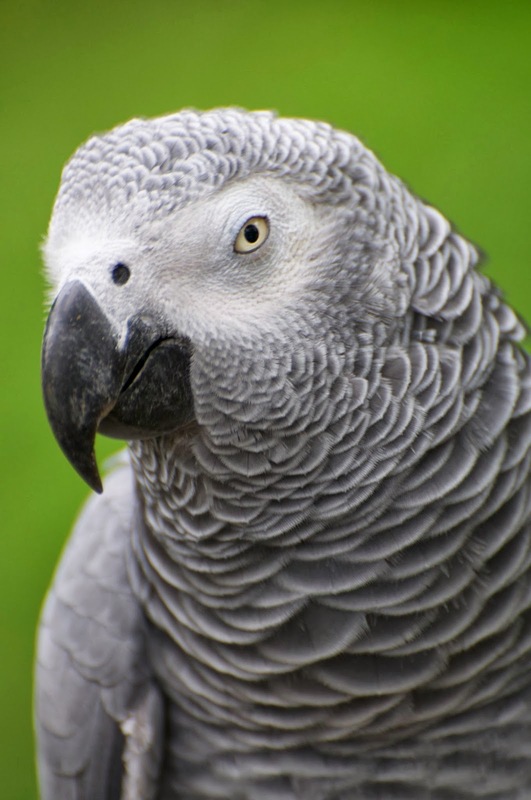 In 2012 the African Grey parrot was listed as "vulnerable". 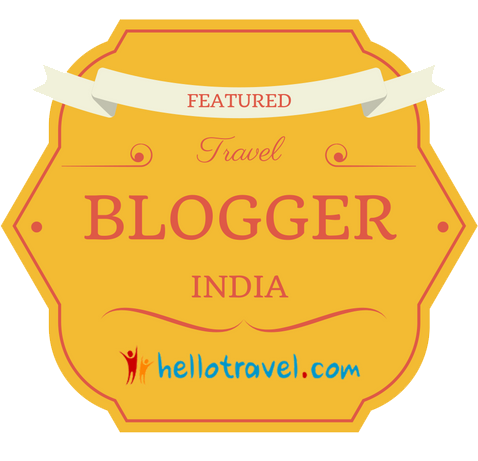 Amongst the various health issues that can affect them they can suffer from dehydration. They are highly intelligent and long lived, living to approx 50 plus years. 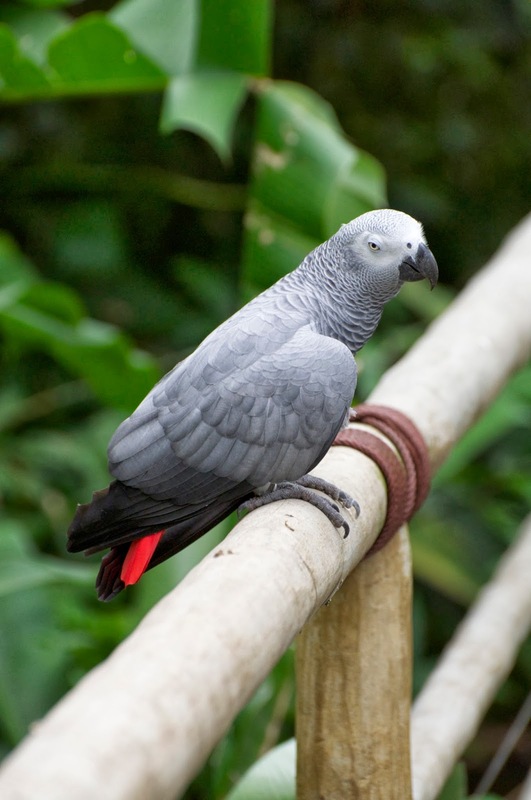 The Guinness World Record for a captive Grey Parrot is 72. Although the Macaws are undoubtedly beautiful and vibrant to look at, the African Grey parrot we met stole the show for us on this visit. 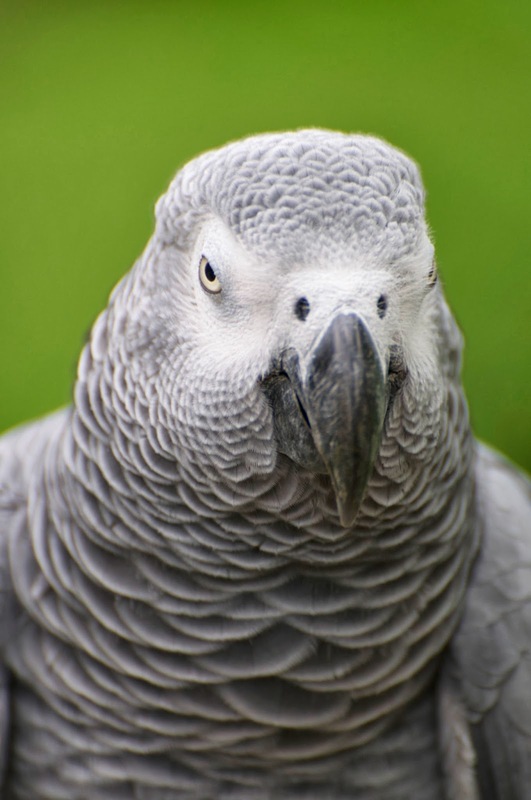 These highly intelligent birds can mimic speech and sounds and solve problems, which led to them being the most popular bird sadly captured in the wild and sold as pets. 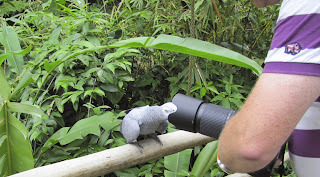 The Grey Parrot photographed below I believe is a Congo Grey Parrot (I think) This little fella had so much personality, he came to perch on a bridge when we passing looking straight at us, almost into us as if reading our thoughts (you can see this from some of the photos, truly intelligent all seeing eyes) He was fascinated with the lens of hubbys camera, whether he could see his reflection in there I don't know, perhaps. 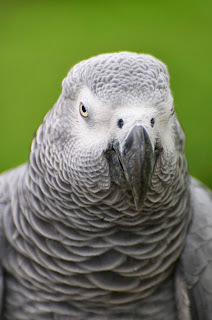 He would put his head to one side waiting to be stroked and also pull the camera toward him using his beak and put his head inside. He was clearly used to humans and as I "spoke" to him he listened intently (I have a thing about talking to parrots and love there reaction to you) You can see through this interaction with humans why they became such popular pets. 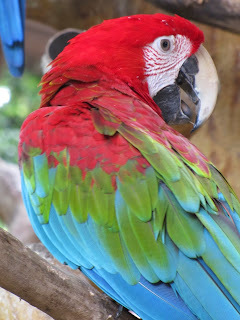 Any way I hope you enjoy these pictures as much as I did meeting these beautiful birds.